Ladies the snow is receding, buds are coming out on the trees and it looks like we made it to spring! 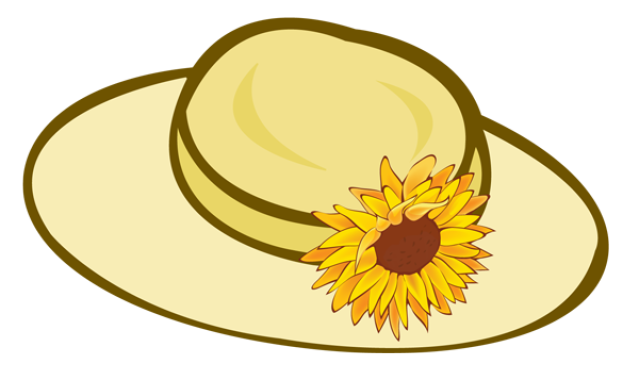 Let’s celebrate it and the return of many of our “snowbird” CAL members at this years spring luncheon themed, “The Running of the Roses”, Kentucky Derby style. Put on your Kentucky Derby frocks and hats and come join what will sure to be a wonderful time. Please sign up at Bizarre Bazaar as Trinity at the Beach can only accommodate 120 members. This years luncheon is on Wednesday, April 24, at Trinity at City Beach. Doors will open at 11:30 a.m. Please do not come early, the social committee is being only allocated one hour to decorate before the luncheon. Green garden salad with cucumber, carrots, tomatoes and bell peppers served with house made ranch or balsamic vinaigrette. Kentucky Hot Brown Sandwich (opened-faced ham, turkey and bacon sandwich served hot with melted cheese, sliced tomato and home-made gravy). Fried Chicken Brioche Sandwich (with Benedictine Cheesy Pimento Spread and tomato jam). Shrimp and Grits (jumbo shrimp sautéed with bacon, Trinity - bell pepper, onion and celery - and green onions in a savory lemon butter sauce, served over four geese grits). Signature cocktail - the mint julep - is included, or one glass of wine or beer. There will be a horse race going on during our luncheon. Come prepared to place your bets to win first, second or third price. Horse betting tickets are 6 for $5 or a dollar each. All proceeds will be split between Daybreak Center and our Kinderhaven Tree this coming December. Prizes will be rewarded for “craziest hat”, “prettiest hat”, “most unique hat”, and my special award will go to “what were you thinking hat”! Go by Bizarre Bazaar and find yourself a hat, dig out something from your closet, borrow one or just come without! We just want you there!! Check out Mary Faux and her wonderful hats in the Stylish Hats album for some great ideas! This will be our last time having one of our parties at Trinity at the Beach before they move. Get in to Bizarre Bazaar and sign up before all the slots are filled. Hope to see all of you beautiful ladies there! !